"Just pray and God's gonna take care of this." A Latonia Lakes resident shared that advice in an appropriate setting on Tuesday night as roughly a hundred neighbors from the crumbling community attened a special meeting of the Kenton County Fiscal Court at Oak Ridge Baptist Church in Covington. Tuesday's sermon was about how the former city of Latonia Lakes could gain new roads, as just a block away they lie in ruins, some deteriorated so badly that the clay foundation is visible. 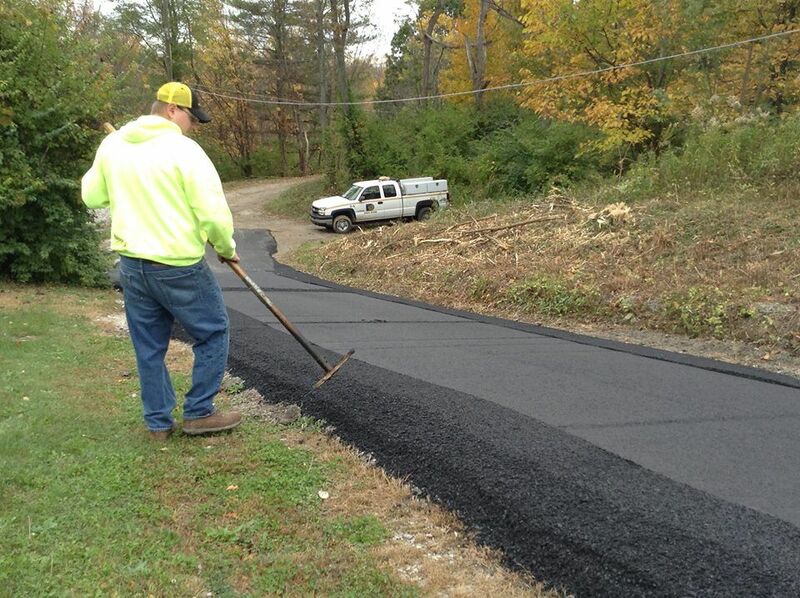 Late last week crews from Kenton County Public Works arrived on the scene following the adoption of a resolution at the Fiscal Court to bring the community's streets into the county's maintenance plan. Residents of Latonia Lakes voted 32 to 29 to dissolve in 2006, making the former city part of unincorporated Kenton County. Latonia Lakes is in the area of South Covington between Taylor Mill and Independence. Its population is around 300. Those residents will need to fork over some of the cost to repair and replace the roads, a price that was estimated at $2.3 million on Tuesday by Erlanger-based engineering firm Viox & Viox. To reach that figure, the firm reviewed previous jobs in other cities and also looked at analysis provided by Thelen & Associates, another Erlanger-based engineering firm specializing in geotechnical work. "It's a pretty intensive process, therefor a pretty expensive process," said Marc Gloyeske, with Viox & Viox. "This number is high and a good portion of that is storm sewer. Part of the problem with the roads that are out there today is there is not adequate drainage. When it rains, the water runs down the street. That's a recipe for disaster when it comes to the life expectancy of what the county would like to see of a street that they own and maintain." Outside of Club House Drive, the main entryway into the community, the streets are very narrow. When rebuilt, they will only be 14-feet wide, eleven feet narrower than the county's subdivision regulations. School buses will only be able to use Club House, though garbage trucks are expected to have access to all the homes, Gloyeske said, as that was a point of concern among residents. The work would be a three-year process. Latonia Lakes is a low income community and the added cost of rebuilding roads has scared some of the residents, several of whom shared those concerns on Tuesday night. "This project is not inexpensive by any stretch," said Judge-Executive Steve Arlinghaus, standing on the altar where he was joined by County Commissioners Jon Draud, Kris Knochelmann, and Beth Sewell, and County Attorney Garry Edmondson. "This administration and the next administration is willing to participate at some level. I think that level is yet to be determined, though. We do know the cost is greater than what a lot of folks probably anticipated." The county has already spent approximately $50,000 on the engineering analysis, Arlinghaus said. 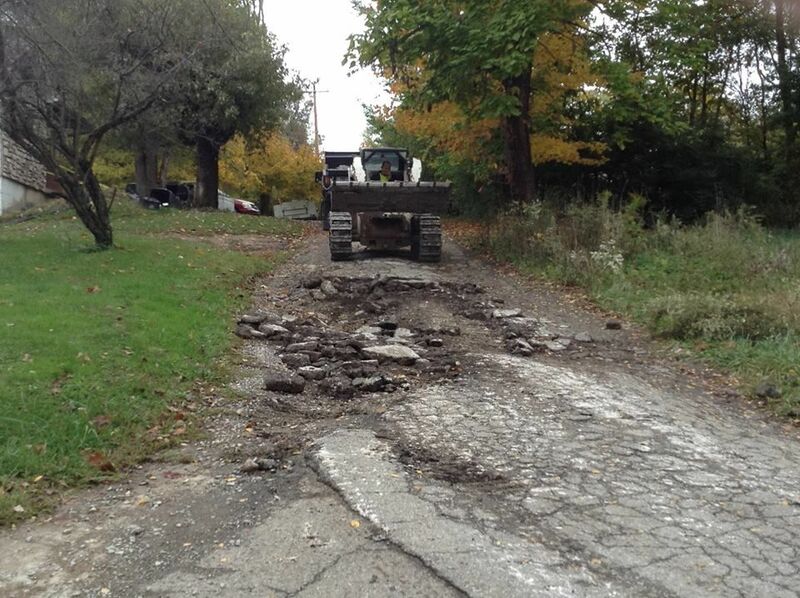 Since the dissolution of the city, the county has avoided maintaining the roads there because once any work is done, they assume full responsibility for them. Edmondson explained that the county can choose which roads it maintains at its discretion. "We're going to bite the bullet," Arlinghaus said. "Obviously, it can only happen with your participation." What that participation is, is not yet known. Arlinghaus said there are various financing opportunities and that the Commonwealth of Kentucky would be asked to provide emergency road aid funds, something the county has never been refused when sought. How property owners kick in their share is also not yet known: It could be by street frontage or other variables. Regional utilities will also be heavily involved in the work. The Northern Kentucky Water District will replace its infrastructure while Duke Energy and Sanitation District 1 will also perform work. Arlinghaus said a committee will be formed, one that includes a few residents, to discuss what the next steps will be. The situation is urgent for residents who expressed gratitude for the quick fix currently being provided by the county in anticipation of a snowy winter, but who are ready for something more permanent. Habitat for Humanity has constructed twelve homes in Latonia Lakes and has property there for further construction, but work has stopped until the roads are addressed, said Ed Lee, president and CEO of the organization's local chapter. "We're not a giveaway. Families pay mortgages to Habitat and also pay taxes to the city and state and whoever else is collecting taxes," Lee said. "We are very much concerned that the total cost of home ownership in Latonia Lakes stay as low as possible. We've suspended plans of going forward with additional buildings unless the roads are improved. It makes no sense to add more residents to this community if the roads don't support those families." "We're very much supportive of moving forward with the roads."